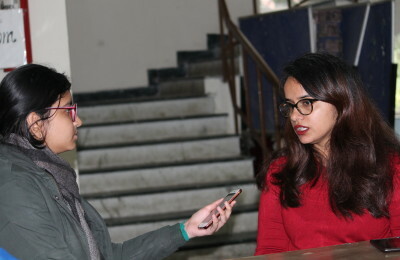 On 23rd January 2019, Amrita Rao got candid with DU Beat about her life, career, and the industry, when she visited Conference Centre, North Campus along with her co-star Nawazuddin Siddiqui to promote their film ‘Thackeray’. 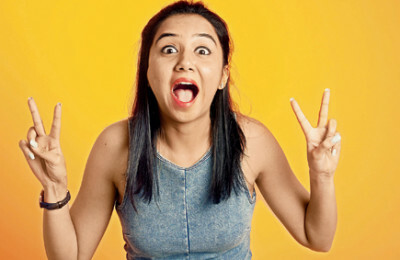 Anoushka: How was your journey in life, being from a non-Bollywood background to becoming a Bollywood star? 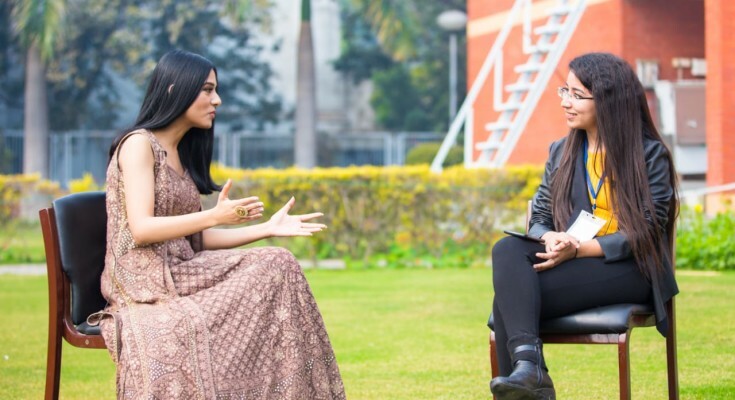 Amrita: About my journey, I have always believed that I am a destiny’s baby, with no godfathers, sugar daddies, and influence in the film industry. These days, there are so many avenues through which you can get recognition. You can rise by being an internet sensation or an Instagrammer. During those days, one either had to be a Miss India, a star kid or had to rise through ad films. So, that time was such that I used to walk into auditions and bag the ad films. After some of my ad films became hits, Tips Films came with a bouquet and a cake saying, “We will make you a star.” It was a very big deal for me because I was still studying. I have actually lived my college life in the campuses of Main Hoon Na and Ishq Vishq. I couldn’t continue my studies because I was barely in school when I started modelling. It’s a big responsibility to manage your education along with your career and work life. Anoushka: Were your parents supportive in this entire journey? Amrita: I think my father was very supportive because he comes from an advertising background. He has had his own advertising agency for the longest time. This was print media advertising, not the films. I didn’t get any influence. I had to walk into auditions and perform. He did not have the slightest clue, and was so surprised with the first campaign that I signed. The agency signed me from Chennai. When Tips came with a proposal, he supported it tremendously because he saw the corporate set up with a contract in place. My association with Tips was for three to four years. Anoushka: You do not come from a Bollywood background, and we also know the nepotism debate which recently shook the entire industry. So, what is your take on nepotism? 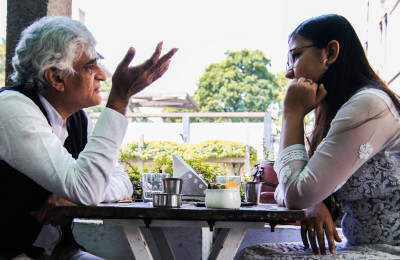 Amrita: I think that if two people are comfortable in working with each other, if I have found comfort in you and share a natural rapport and don’t feel like a nobody or outsider, that is great! If we have grown up together, attended the same birthday parties around the same friends and families, I can understand that as a different comfort zone altogether. If we want to work with each other, that’s not really nepotism. However, if a third person comes at random and favours the other person more than you, pushes him or her to the awards and magazine covers at random, now that is nepotism. That is how I look at it. However, we live in times where unfortunately even to get your kid admitted in that reputed school, you see people picking up their phones. It has engulfed the society in an unavoidable and unfair manner. I think, in today’s world, talent is something that is recognised, and people don’t really care what background you come from, or whether you are a star or a superstar. I think good acting ultimately survives. 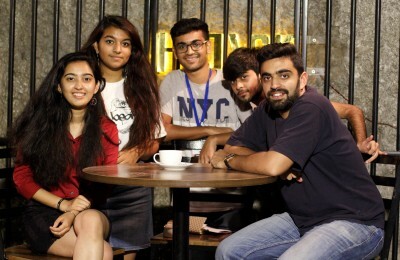 Anoushka: She Wings is a social awareness organisation which is working towards women and menstrual hygiene. There are many women who don’t have access to basic sanitation facilities. How should we, as women encourage others regarding the same? Amrita: I am glad we are talking about this. When I was in school, I don’t think we ever spoke about this or talked about it as an issue or as something that you have to deal with. It was perhaps, just told to us. I think I would say that it is important to have basic hygiene. We don’t even have basic sanitation or hygiene. There are no theories or rules that we are given on how to use sanitary aids. I know there are a lot of uterus infections. A lot of things go wrong because women don’t have knowledge. I would like to tell everyone that you have to prioritise yourself. Even if you are somebody who lives by the budget, you can cut on those new tops or denims but make sure that you get the best quality pads for yourself. Don’t compromise on that. Don’t try to save on that. It can cost you much more.